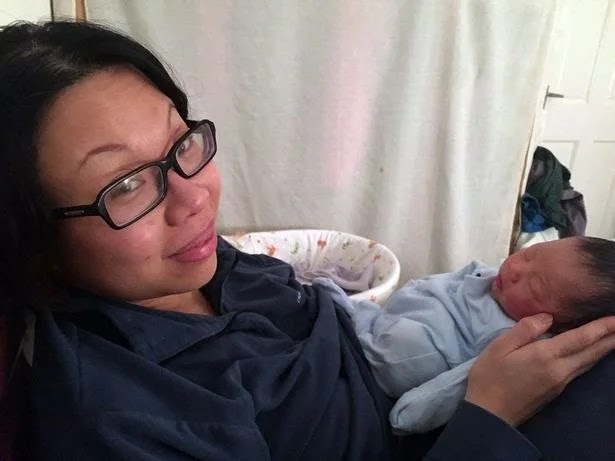 Terry Loong, 40, opted for what is known as postpartum confinement – a practice she says is common in Asian culture, where a new mother does not leave the house, have visitors or, in some cases, bathe for a month following delivery. The thinking behind it is that it helps protect both mum and baby from infections, gives the mother a chance to recover and recharge, and allows the two uninterrupted bonding time. Aesthetic doctor Terry admitted she "did smell of bodily fluids" but she said she didn't care. She believes it helped her bond with little Matthew, free of any distractions, while giving her body the rest it desperately needed. Terry, who is of Malaysian heritage and lives in Harrow, north west London, said: “I remember my mum having a period of confinement when I was little. I’m the oldest of five so I saw it a lot. It is common in Asian culture. Some of my Chinese friends here in London have done it too but adapted it to what works for them, picking different parts of it. Keen to give herself a proper chance to heal, she decided to try postpartum confinement. She added: "After the birth I had blood down below and was covered in sweat. My hair was really greasy to start with and I did smell of bodily fluids, but I didn't care. It was the most natural thing in the world."